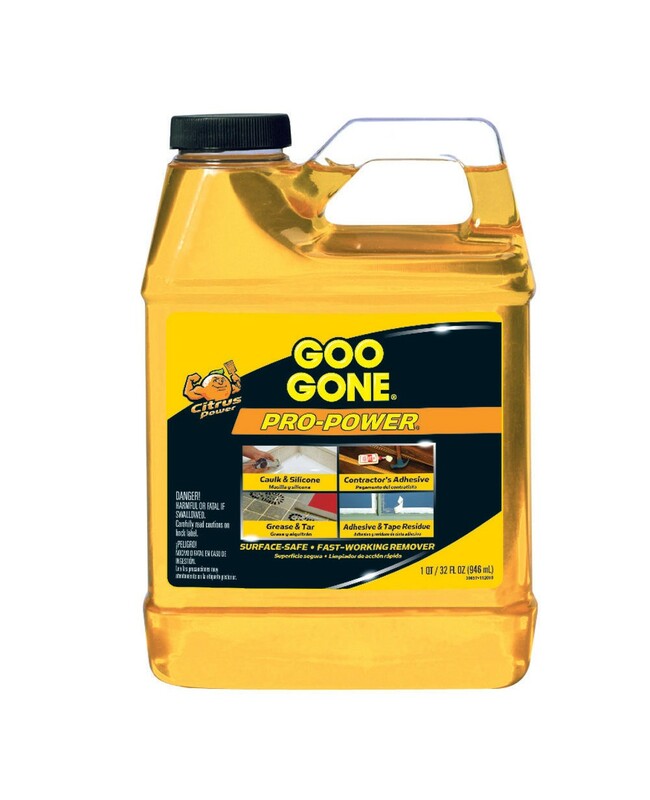 Goo Gone Pro-Power Is A Brilliant Goo & Adhesive Remover That Eliminates The Goo-iest Of Situations! Can Be Used On A Variety Of Surfaces Such As Ceramic, Porcelain, Painted Surfaces, Finished Wood Etc! Goo Gone Pro-Power: Goo & Adhesive Remover. Ideal For Removing Sticky Messes Like Grease, Tar, Adhesives, Glue On Wood Etc. Suitable For A Variety Of Surfaces Such As Finished Wood, Painted Surfaces, Ceramic & Porcelain And A Big Range Of Loads More! Surface Safety - Does Not Harm Most Surfaces.